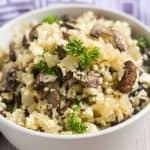 Mushroom Cauliflower Rice | Nashi Food! 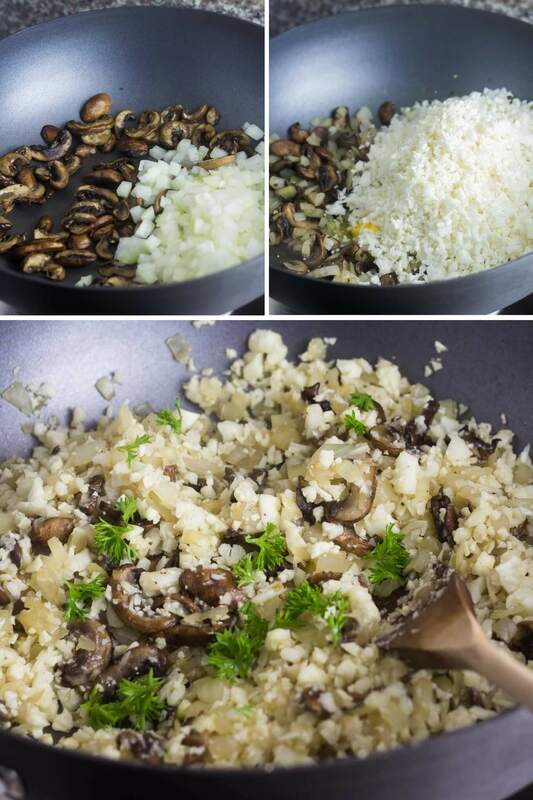 Mushroom Cauliflower Rice is a low carb alternative, and a great side dish ready in 15 minutes! Since I started eating low carb dinners, it has been difficult finding new meal options. I’m one that usually gets bored quickly eating the same thing for a couple of days straight. When it was time to go grocery shopping, I managed to get a few deals in mushrooms. And I said to myself lets try to use this ingredient differently. I usually use mushrooms to make a gravy for the chicken or something similar it has to be a gravy. This cauliflower rice recipe is easy and quick to make, a couple of ingredients, and you will have a buttery and meaty flavored side dish. When I returned from the supermarket, the idea just came up. Since a couple of months, I have been experimenting with making different cauliflower “rice” flavors. If you haven’t tried cauliflower rice before, you should. 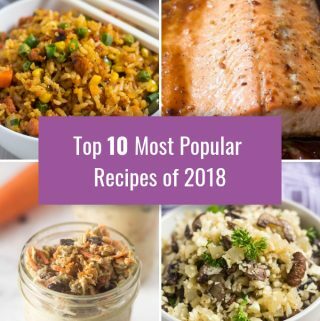 Cauliflower rice is a great a low carb alternative to rice. Great for people following a paleo diet too. 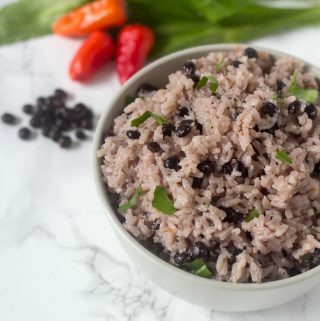 I recommend making it at home since it is fresher tasting, and cheaper too, you can see the tutorial in the post How to make cauliflower rice, where you will find a complete guide on how to prepare, cook, freeze and store your cauliflower rice, plus a simple recipe idea. The utensils I used were a non-stick wok and a wooden spoon. To start making this recipe, heat up the wok to medium heat and add half of the butter to melt. 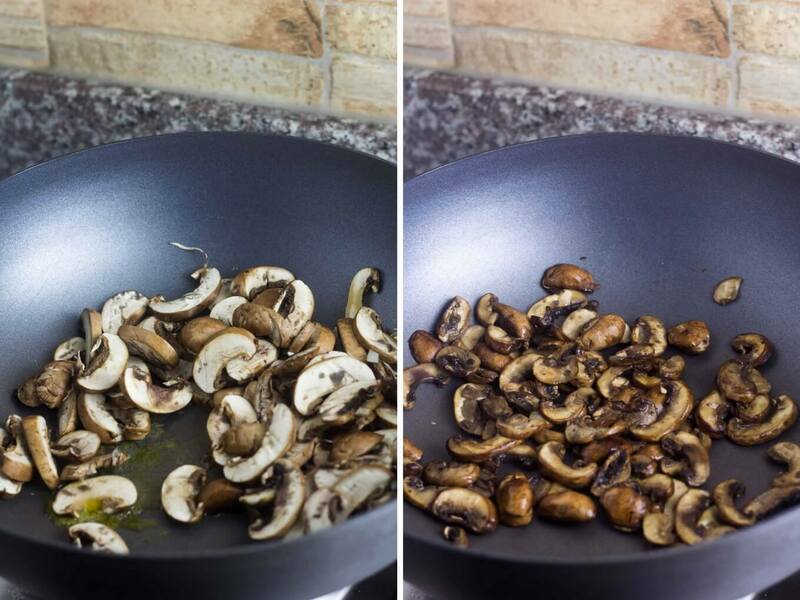 Then add the sliced mushrooms and saute for 5 minutes. They will reduce in size. Combine the onion with the mushrooms and saute for 5 more minutes. Season the mixture with half of the seasonings, and mix. Add the remaining butter and the cauliflower rice. Sauté for 5 more minutes. Add the remaining seasonings and combine. 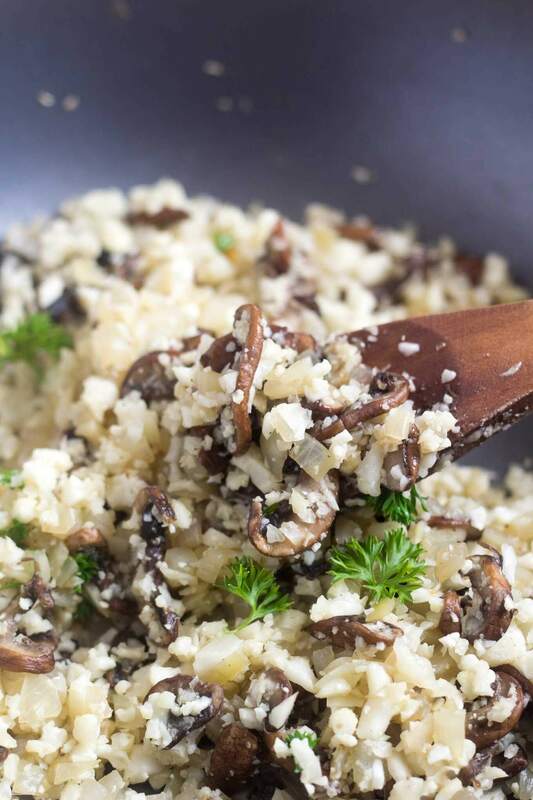 Garnish with some parsley and your mushroom cauliflower rice is ready to enjoy. 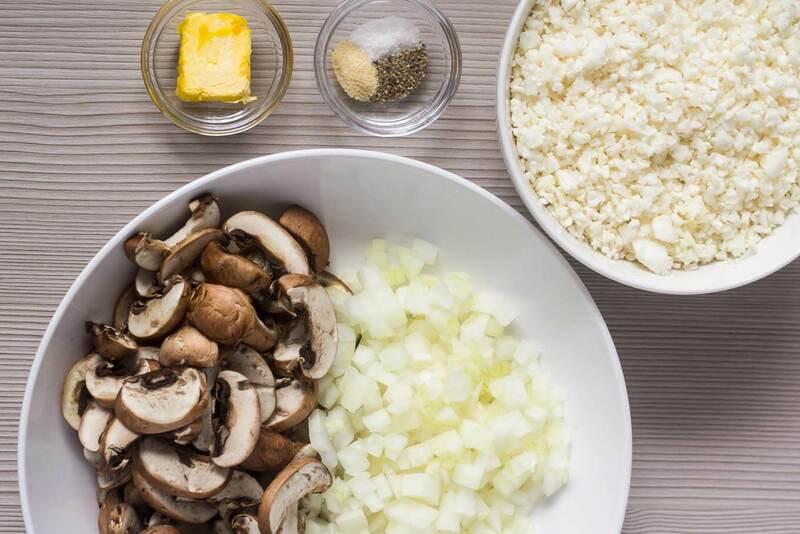 Ingredients that will amplify the mushroom cauliflower rice are bacon and parmesan cheese. The parmesan cheese will give the cauliflower rice a risotto-like texture, without making the cauliflower rice mushy or too soft. You can pair your mushroom cauliflower rice with a roasted chicken breast or a steak with gravy. 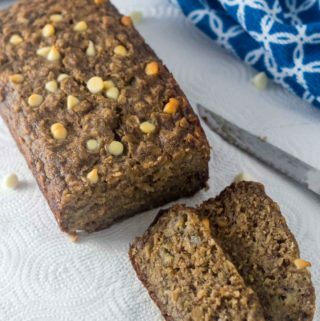 If you want to make it completely vegan, you can replace the butter with olive oil or coconut oil. This will remove the buttery flavor the mushrooms get, but it tastes just as good. Heat up the wok to medium heat and add half of the butter to melt. Then add the sliced mushrooms and saute for 5 minutes. They will reduce in size. Combine the onion with the mushrooms and saute for 5 more minutes. Add the remaining butter and the cauliflower rice. Sauté for 5 more minutes. Add the remaining seasonings and mix. 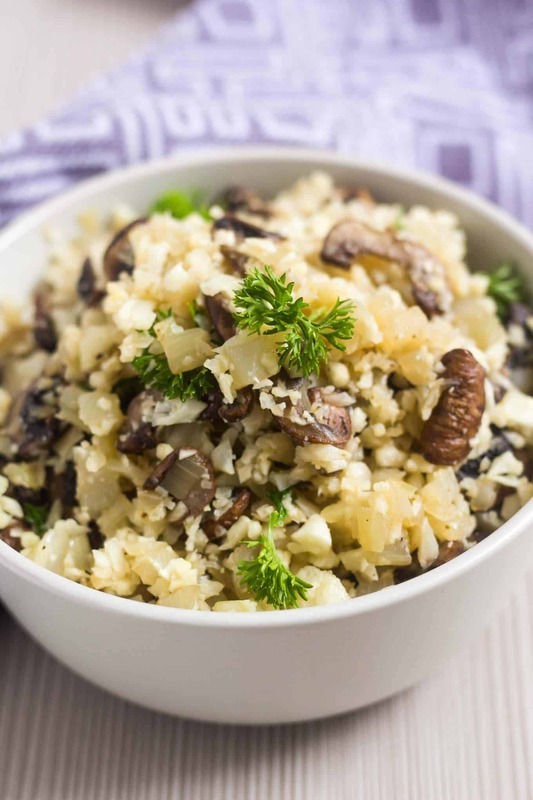 Garnish with some parsley and your mushroom cauliflower rice is ready to be enjoyed. 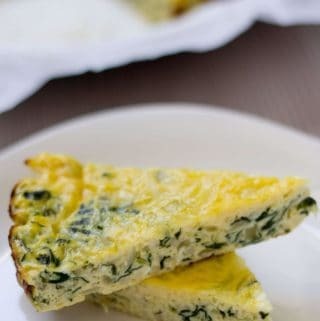 This looks so tasty, healthy, and it’s so fast to make too! Love the use of mushrooms so this dish has a nice earthy, meaty flavour too. Oh, I saw this on my FB feed this morning – it looks AMAZING! That looks so good, and such a healthy alternative to rice, love it! I’ve never made a cauliflower rice before. Off to check your tutorial post on how to make it. So glad you used butter! It makes all the difference with cauli. 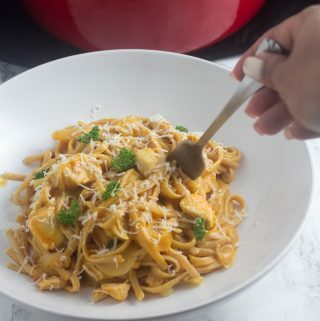 This is such a wonderful dish, can’t wait to try it. This is my first time cooking with cauliflower rice. 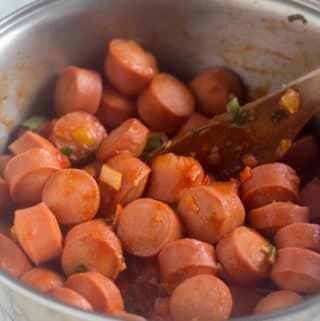 I made the recipe with 5 oz of oyster mushrooms instead of 4 oz but followed all the other directions, and then added one link of leftover chopped grilled sausage. Since we are from southeast Texas and need a little kick to just about everything we eat, I sprinkled a teaspoon of dried chili flakes over it at the end. My husband loved it. He said “that was pretty good”, which meant he LOVED IT. When do you add in the second half of the seasonings? Hello Ann, thanks for noticing, I added the remaining seasonings after I added the cauliflower. I just updated the post with that information.